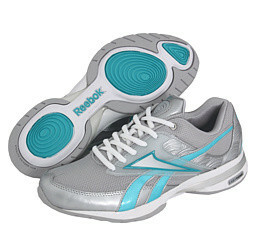 6pm.com has a killer deal today on these Reebok EasyTone shoes! They're regularly $125 and on sale for only $39.95! Use coupon code 6pmCJEtxNuYbzm340511 to take 10% off! Shipping adds $6.95 or you can get FREE SHIPPING if your order is $100 or more! Plus, go through Shop At Home or Ebates for 5% cash back! I've been waiting a long time for a good deal on these tone up shoes! Although I never thought of myself as falling for the toning shoes fad, once I tried on these bad boys I was sold!! !